When my laptop died, I was particularly interested in making the switch to a more energy efficient computer. (Not top on the list of desired computer specs for most people, I know). My old Dell XPS M1330 laptop used to sit at around 30 watts power consumption when running. Compared to a desktop, which may use around 100 watts or more, including the screen, that isn't so bad. But I knew that I could do much better. For example, I was aware that the compact 10 inch eeePC's were already down around 10 watts (or less) power consumption. It became clear fairly quickly that Apple's laptops were doing pretty well. The MacBook Air, in particular, had very low power consumption. I was keen to get the Air, but in the end I decided to get the MacBook Pro 13 inch as this was to be my main computer (it has a larger hard drive, a CD/DVD drive etc). To Apple's credit, they have taken to publishing detailed 'environmental reports' for each of their products. Reviewing the report for the MacBook Pro 13in reveals something interesting straight away: greenhouse emissions in production are far higher than from several years worth of usage by the customer. Greenhouse gas emissions are largely from energy consumption, so it leads that energy consumed in production is significant. It also shows why holding off on your next consumer electronics purchase is so important (in reducing your broader environmental impact). In the same report, they show actual energy usage of the laptop in different power states. Not one to simply trust a report, I thought I'd check their results. The power supply is exceptionally (and unusually) energy efficient. There is no real need to turn this device off at the wall when it's not plugged into your laptop. Most of the time, however, the power supply is plugged into the MacBook Pro. So, more informative measurements can be made when the laptop is switched off or in sleep mode. This one depends on how exactly you do the test. My lowest reading below is with the screen off, no programs open in the background, and no keyboard back-light. The highest reading below is with the screen on maximum, a couple of programs open (but doing nothing) and the keyboard lighting on. This measure is not reported by Apple (because it would be hard to standardise), but I thought I'd mention it. Most of the time I find that my MacBook Pro uses around 12 watts. It uses 16-18 watts when crunching something (eg. opening a program, saving a file, etc). It's power consumption peaks up to around 30 watts (eg. when starting up). It (almost) goes without saying that all these readings are with a fully charged battery. The power supply will peak much higher when also charging the battery (up to about 60 watts). In summary: it's great to see that Apple is reporting this kind of data... and even better that their numbers prove to be correct in real world testing. Know someone who might be interested? Please see our FAQ, delivery, pricing, and product pages for commonly asked questions and answers. Reduction Revolution is a business focused on energy efficiency and sustainability. Our products will help slash your energy usage. But they also often improve comfort, save time, and reduce your maintenance costs. That's why we say waste less, live better. Reduction Revolution Pty Ltd is an Australian owned and operated business (ABN 74 141 672 764). 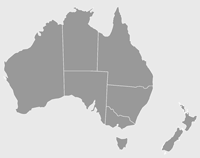 Since 2010 we have supplied over 40,000 customers across Australia & NZ. Get exclusive deals, new product info, and more... And don't worry, we'll only email you once per month! Copyright © 2019 Reduction Revolution. ABN: 74 141 672 764. All Rights Reserved.